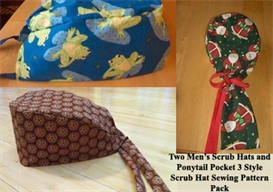 This is a sewing pattern you will receive a download email for within 24 hours of payment. If you have any problems with download contact me immediately and let me know. This hat is top-stitched with a comfort band. 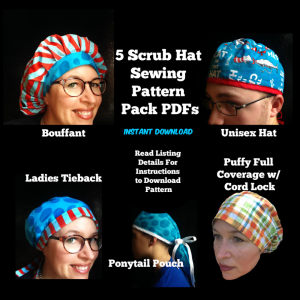 *NOTE: The pattern for the comfort band style scrub hat is NOT sold in stores. The pattern you're bidding on is one I've devised through trial and error, with simple, easy to understand instructions. The instructions and patterns include over 20 colored pictures to guide you through each step. If you have ANY questions that have not been answered here please do not hesitate to ask and I'll be glad to assist you, before and after the sale! 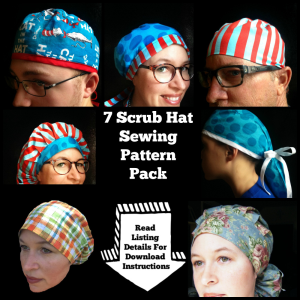 *These instructions include an Actual Pattern to cut out and place onto your fabric. You can use this pattern over and over again. Just print out on regular printer paper and join your pattern pages together as instructed and you are all set. This is a pattern that you can easily customize to your liking or leave as is. Add more elastic or less. You can add a cord lock by cutting a buttonhole in the back bottom. If you have long hair you can make the longer more puffy style bouffant by simply leaving an extra 1/2" to 1" fabric around the pattern when you cut. Or leave as is for less puffiness. This is really simple to sew and the instructions are so clear my husband understood it and he knows nothing about sewing!! 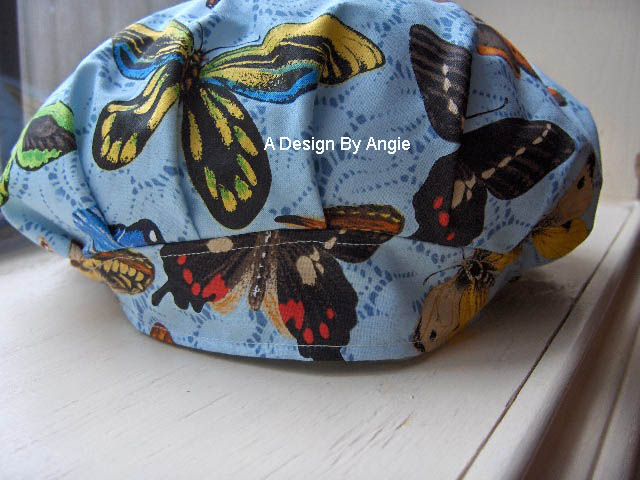 I've made a few of these hats for my daughter-in-law who is an OR nurse. She thinks they are perfect. Thanks for all your hard work perfecting the pattern!